Read the text carefully and ask questions using : Who –what- where…from-how often-how old- etc. Sts can write about themselves and read to their classmates. 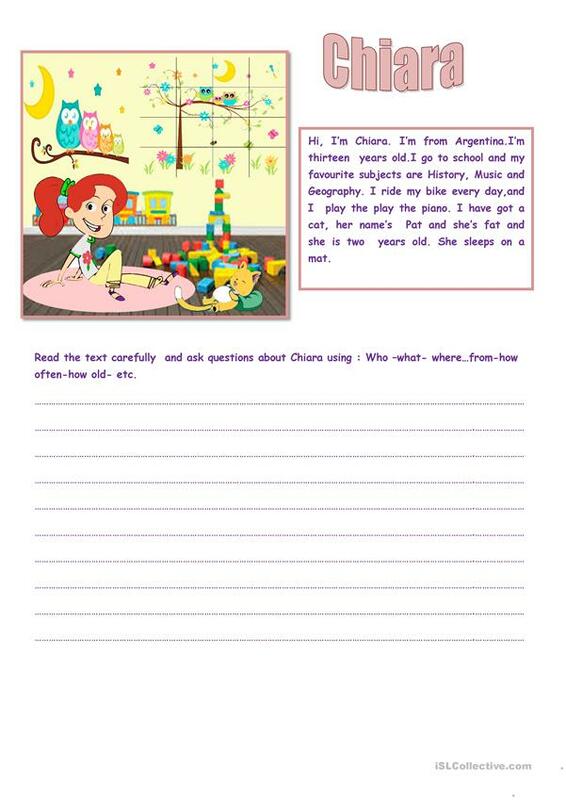 The present downloadable worksheet was created for elementary school students and students with special educational needs, learning difficulties, e.g. dyslexia at Beginner (pre-A1) and Elementary (A1) level. It is valuable for practising Adverbs of frequency in English, and is a valuable material for improving your learners' Spelling, Reading and Writing skills. It features the vocabulary topic of Actions.